The call for scholarship applications for master's studies starting in the autumn semester 2019 is now closed. The information below is about this closed call. Information about the next call for applications will be published in the autumn 2019. The eligibility criteria as well as the application procedure and key days may differ from the previous years. The competition for SI scholarships is very high. We recommend that you also look for other scholarship opportunities from your government, from organisations in your country, or from Swedish universities. Priority will be given to applicants with a strong and relevant professional background and demonstrated leadership experience. You need to submit a separate copy of your scholarship application for each eligible master’s programme that you have applied to. For example, if you have applied to the maximum of four master’s programmes on universityadmissions.se, you must submit four separate and complete online scholarship applications. Each application must have all the required documents attached. You may use the same documents for each application, or create unique ones for each master’s programme. You should use the same account at the application portal to submit all your scholarship applications and you should provide the same e-mail address for all your scholarship applications. Do you have any questions related to university admissions, application fee and application number? 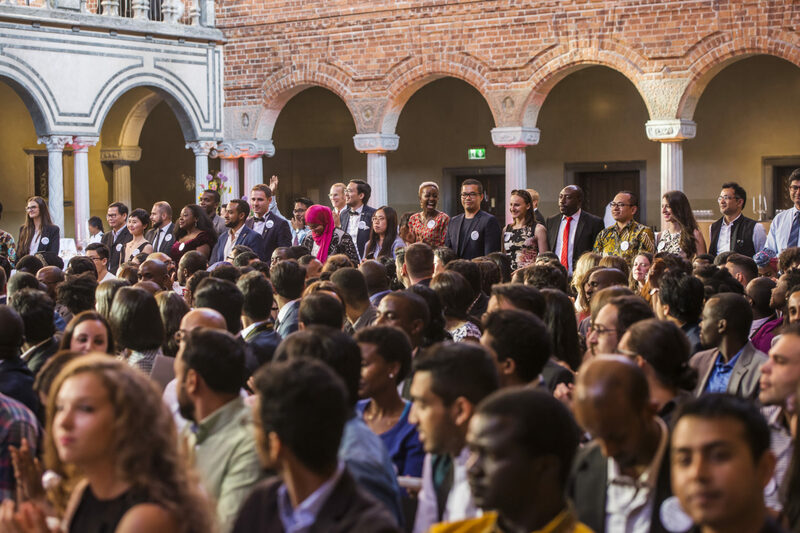 About 300 successful SI scholarship recipients of SISGP 2019/2020 are announced at si.se in the afternoon on 26 April 2019. The application period for SI scholarships for master's studies starting in the autumn semester 2019 is 4-14 February 2019. You are suggested to also look for other scholarship opportunities at www.studyinsweden.se.